A Character Filled Home: my brand new ebook will show you how to add character to your home through architectural elements, mixing metals and wood tones, and many more design tips. I am SO excited to share this with you – I wrote an ebook for all of YOU! One of the things people say about our home when they walk into it is, “Oh, it’s just bursting with character!” We have worked hard to fix up our home from 1902 (see all of our before/after makeovers here), and it was already filled with original architectural details that give it unique character. But we’ve added many elements to our house that help to achieve a look that helps it stand apart from any other homes. The good news is: these are things that can be added to any home! You can add complementary character to your older home, or add character that may be lacking in a newer build. There are even things you could implement into a rental – this ebook will show you how! I provide design ideas and tips for how to implement these simple elements into your home so you too can have a home that is filled with character. I love this community we’ve formed here, and to show my appreciation for each and every one of you, I’m giving you my ebook for free when you sign up for my e-mail list. I promise that I’ll never be scammy or weird in your inbox! You’ll get home decor ideas, decorating advice, shopping guides, and so much more. 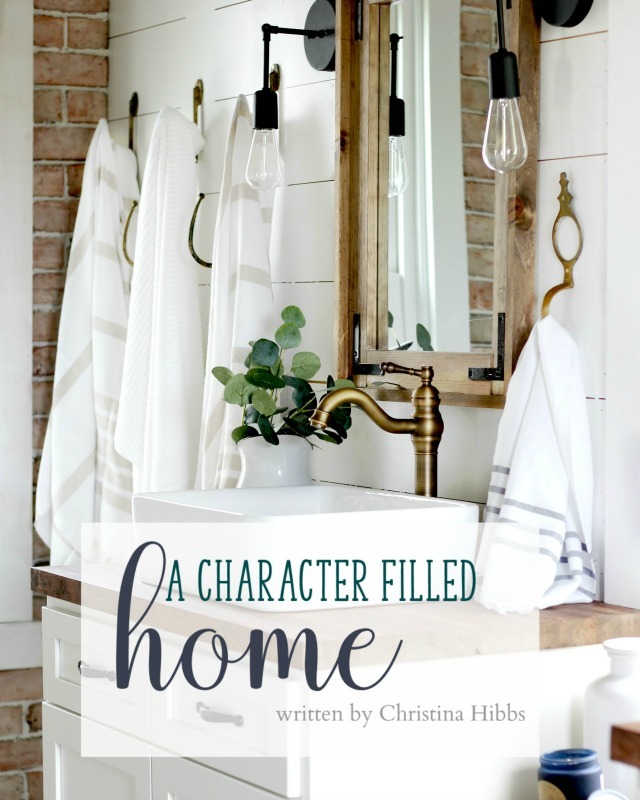 If you don’t want to be a part of my e-mail list but you’d love to get the book – you can purchase “A Character Filled Home” here! Looks great. I love all your ideas & things. Thanks so much, Loraine!! I so appreciate it! Ok already subscribe. How do I get free book? Excited to be on the list ! I’m watching for your ebook but it hasn’t come yet! I’ve looked through my spam – is there somewhere else I should look? Thanks!